There’s no way to deny it, the cost of everything is going up…especially the cost of food! Doesn’t it seem like every time you go grocery shopping, the meat items are one of the biggest budget busters in the cart? And if you’re like me — committed to buying organic grass-fed beef, pork, and/or chicken — the price alone limits our ability to eat meat every night of the week. Yet when it comes to feeding my family “quality over quantity” is my motto. So how do we reduce the grocery bill, remain loyal to local farmers, and still prepare protein rich meals for our families? 2. Ground beef and whole chicken it is. A big thick steak is a delicacy ’round these parts. We have limited ourselves to only ground beef, the organ meats, and whole chickens. No more pricey chicken breasts here. The beauty of buying this way is ability I have to add “fillers.” One pound of ground beef — for use in spaghetti or tacos — can easily become 2 or even 3 pounds when lentils or black beans are added. And a whole chicken can provide this family of 5 a week’s worth of dinners. 3. Smaller portions. Smaller, bite-sized, and shredded meats are easier to spread out through different meals. Stuffing meats also allows for use of smaller portions. For example, every couple of weeks I cook a whole chicken, a fourth of that chicken is shredded and stored for use in several meals. 4. Go meatless. No…I’m not saying you have to become a vegetarian, but once in a while eat meatless dishes. Working your way up to meatless 2 or 3 nights a week can really help the grocery budget! Pastas, meatless chili, vegetarian Indian dishes, hummus and pitas…there are tons of super tasty dishes that don’t involve meat. Trial a “Meatless Monday” in your home and see how it goes. 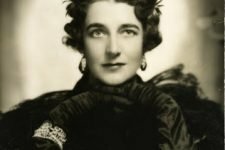 I have to share a great resource with you. There is an ebook out there that is amazing and has helped me more than I could ever tell you! This book has been like a kitchen Bible to me. I’m so thankful that Katie over at Kitchen Stewardship wrote this book over a year ago. Many of my frugal cooking sensibilities I have gleaned from reading and applying the principles of The Everything Beans Book. All recipes in The Everything Beans Book use beans in some way. If you’ve always wanted to use dry beans, but you’re afraid of not knowing how to cook them or maybe you only have a few good recipes…this book’s for you! It is the ultimate book on cooking frugally! It includes a variety of recipes, food storage solutions, and various preparation techniques that are super important for all of us to learn. 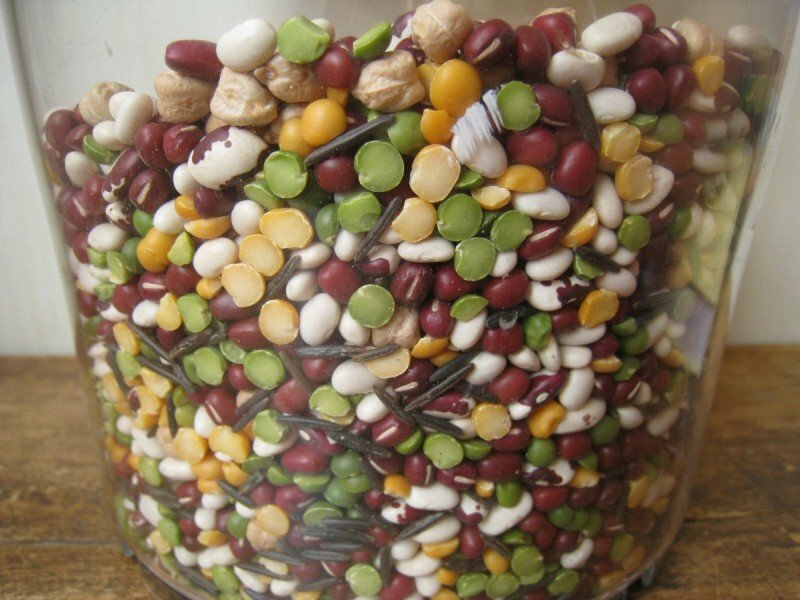 It’s everything you’ve always wanted to know about beans and legumes! Best part is…if you use the recipes given in the book it pays for itself in one or two meals 🙂 Click here to download your copy! 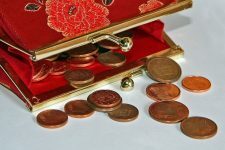 Katie has very generously offered a discount for Frugally Sustainable readers! Enter the coupon code FRUGSUST25 for 25% off The Everything Beans Book now thru May 4. I’d love for you to share some of your best tips for stretching the meat budget? Great article as always Andrea. I’ve recently started cooking vegetarian meals a couple times a week and my family doesn’t mind it at all, in fact, they enjoy it. I am with you when you say that meat is a budget buster. I have a few bags of dry beans, but haven’t really made too many dishes with them because I don’t know what to do with them. My child’s father doesn’t like beans all that much, therefore, I need to find creative ways to add them to our diet. Our daughter eats them with no problem, but I don’t want to serve plain beans all the time. I like organ meats, and think that people should try them. I’ve learned that a lot of people are afraid and squeamish when it comes to eating organ meats, but they taste great and I find it to be economical. I like chicken liver, beef heart, and I recently tried some ground bison that was given to me as a free gift. Ground bison is expensive, and I will only be able to buy it every once in a while, but it tastes great. My daughter is not a picky eater at all, and has no problem eating new foods. She’s used to eating home-cooked meals and she eats the liver with me. Her dad doesn’t dig the livers, but hey, he always tries different foods willingly, so what more can a person ask for? I love Katie’s blog and she just so happens to be from my hometown. Wonderful and timely article, Andrea! My daughter and I have switched to eating only vegetarian dishes after we watched “Food Inc” recently, but I still have to cook meat for my husband and step-daughter and I cringe when I think about what they get at the store. A friend of my hudband’s wanted us to go in with them on some organic beef and now maybe he will if I use your example that it is actually cheaper and better quality. I have a tasty recipe for beans that I just made up the other day. I was cooking regular spaghetti for my husband and I happened to have some pinto beans that I just cooked. I decided to make meatless meatballs. I mashed up about two cups of pinto beans, two heads of roasted garlic, about two tablespoons of olive oil that the garlic was roasted in, I threw in a handful of fresh cut basil leaves and added a dash of thyme and sage and a couple of tablespoons of Italian breadcrumbs. Then we formed the mixture into balls and rolled them in Parmesan cheese and baked them for about 15 minutes at 375. I served them on vermicelli pasta with spaghetti sauce and they were SOOO good! I would have liked it if they had turned brown in the toaster oven but they only browned on the part that touched the pan. I can’t wait to find out how to prepare even more yummy bean dishes! I’m going to check out Katie’s site right now! Thank you for all of the inspiring and informative blog posts! I can’t wait to find out what new things that you have in stor here every day! Great tips. You pretty much described what we do. The winter of 2010-11 was quite lean for us. We ate alot of beans. I usually make a big pot early in the week and then turn that pot into 3 or 4 meals. Sometimes without meat and sometimes with a small amount of meat added in. This is a method called ‘stretchy beans’ and is the same concept you use for your ‘stretchy chicken’ (which we also do). 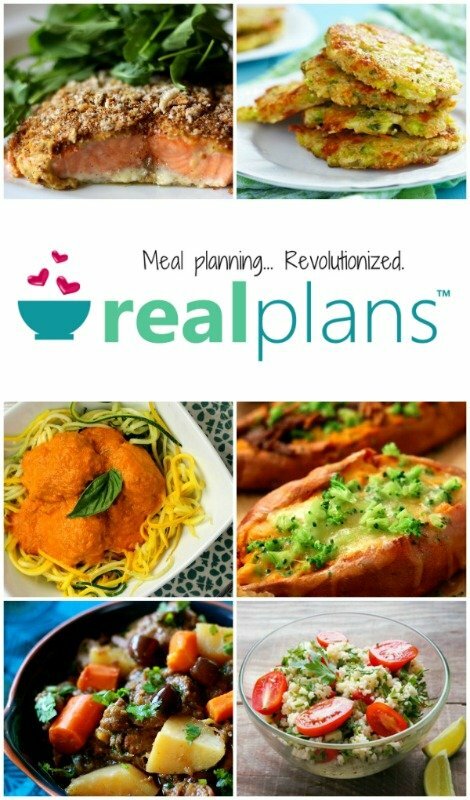 I shared on my blog http://realfoodforlessmoney.com/13-week-menu-plan/. This last fall we had a rather good hunting season so this winter we have enjoyed plenty of venison and antelope (we live in Wyoming) for around $1 a pound figuring in all expenses. We also use lots of broth at our house. By adding broth (made from leftover bones) into our diet we can still have excellent health eating less meat. Broth is pretty amazing from a nutritional stand point. Thank you for sharing the link Millie! That price per pound is pretty amazing 🙂 And yes…broth is amazing I pretty much always have it going (simmering the bones until they nearly dissolve). A year or so ago, a friend of mine gave me some canned venison broth she had put up in the fall…wow was that yummy! I LOVE the Everything Beans Book – it’s great. My favorite recipe is the Pasta with White Bean Sauce. Yum! What a timely article! We have been kind of in-and-out with the grass-fed, anti-drug, naturally raised meats for a while but have recently made more of a commitment to it. Cost was a huge factor… until we started doing the math like you have. The price of those kinds of meats in a conventional grocery store is simply out of the question. We have found a small meat processor nearby (look around for yours, there’s one near you, too. Ask your Grandma or Google it) and they have a small old-fashioned butcher shop. When you seek these types of places you will find that some things you’re used to, like boneless and skinless chicken breast or pork loin already cut into chops, are considered a premium item and they do charge for the extra work. You can, however, buy the whole chicken or simply cut into pieces for much less on the pound and the same goes for pork and beef in larger pieces. You know those heavy scissors that came with your knife set? They are there for chicken, a decent pair will make short work of turning a (much cheaper) whole chicken into the pieces you need for frying or stewing or whatever your fancy. It is terrifying at first. I learned how from Mark Bittman’s “How to Cook Everything” or maybe it was his blog, but then I held my breath and made that first snip. So easy. Something more important that convinced us: THE TASTE. We were never very excited about chicken night… until we bought some well-fed, natural farm chicken. That was our turning point. That first time was unbelievable, it was so juicy and flavorful. We just could not believe what we’d been missing. The same goes for the pork and beef. All of it is far beyond what you’ve ever tasted. Thank you for the book recommendation, Andrea. We have several bland vegetarian books and have been looking for someone with a fresh take on beans. We love dry beans and stock plenty of them but we need to explore some new recipes. Those are excellent tips Neal!!! I’ll say this about grass-fed meat…if it wasn’t available to us, and when we eat all that we have in the freezer, we just go without. And you’re so right about the taste! AMAZING! I’m of an opposite school of thought: We eat meatless about 80% of the time, with occasional meat meals. When we do purchase meat, we purchase the best that we can afford and spread it out over a few meals. My husband is vegetarian. My daughter and I like meat and I think protein is especially important since I am pregnant and my 4-year old daughter can use the extra protein/fat. We do eat lots of beans, lentils, eggs, low-fat cheese and occasionally fish. My Mom tells me that growing up in the Netherlands, this is how they did it in their large family of 10. Meat was served every Sunday and one other day during the week if they could afford some. With a family that big though, meat was always a side dish and there were never leftovers! Interesting to learn how others do it! Thanks for sharing! That’s it Lisa! That’s exactly how my parents were raised too. Even when I was growing up my Mom would make a big roast or chicken on Sunday and we’d eat on that for most of the week. She was the master meat stretcher! These days I find myself doing the same 🙂 It just makes sense. this past december we purchased 1/4 of a cow from my brother (grass-fed). we got a great family discount! i love having a stocked freezer and knowing exactly where it came from is even better. even so, we do vegetarian meals 2-3x a week in order to make it last plus we just like eating vegetarian. We raise our own meat so I can spend more on better quality fresh veggies when our own growing season is out. We butchered our grass fed steer and had most of it done in burger because it stretches farther. I also didn’t buy a beef calf, I bought a jersey bull calf for a couple bucks. Hubby and my son love to fish. Once a year they go to Erie, Pa and fish for Steelhead trout. One fish feeds our family of six. Some of the other guys that go don’t eat fish so we get theirs too. A Pa fishing license with an Erie stamp costs $38 my son is under 16 and doesn’t need a license, each can get three a day. the grocery store sells steelhead trout for 8.95/lb. We save bigtime! Melissa! Fishing is a great way to stretch the budget! We’re a big fishing family too 🙂 During the summer we eat trout almost weekly. I can’t wait until we can raise and butcher our own! We do this a lot already. My hubby and his family are Cuban, and on the island meat is not exactly plentiful. Beans and rice are tho…and that’s something hubby grew up with even tho he was born/raised here in KS. I’ve been known to put beans or rice in my bread as well, as it makes a nice fluffy loaf. For meals, cook them to mush, then add then in with a meatloaf, burger patty, sauce, etc for those who don’t like them or don’t like the looks of them…they won’t know the difference once spiced. I’ve learned a lot of meatless or less use of meat and meat stretchers since joining in the Cuban family, with lots of beans and rice. It really does stretch the budget. UGH I wish I could say fishing was cheaper for us! Overall, with no accidents, it really is cheaper….crappie/bass/perch/catfish taste great! Hubby and I like to go night fishing in the summer and fish for catfish. Downside, hubby is accident prone. His last fishing adventure alone cost him his truck. He wrecked the S-10, totalled it, cost $300 to tow it with the wench truck, and we no longer have it. Other times he’s had to visit the ER (2x, one for fileting his thumb, one for hooking himself very well). I love this article and have been looking for a good bean cookbook. We are omnivores, but we have cut our meat consumption way down, smaller portions and using meat as a seasoning not the main focus of the meal. I love that an ounce of pancetta is a great way to enhance an otherwise meatless soup and that I can cut my beef portion of a pot of chili by at least 1/2, and 2 thighs are enough for a large pot of chicken noodle soup. Years ago I purchased one of those vacuum sealers and love it. I buy whole chickens and portion it out in the way I will need it, 2 thighs for soups, a single breast for a side of grilled chicken with pasta, I also leave one whole in case we get company and cut 1 in 1/2 for when we want roasted chicken, then use the leftovers for sandwiches. I also love to get a whole pork tenderloin when I can find it on sale, one will last me at least 6 months sometimes more. I purchased a side of beef last year and it has been great to have quality affordable meat in my freezer for our summer BBQ’s, I did get a few cuts that I’d never prepared before, so I’ve had to get creative. I don’t think I’ll buy bulk beef again, nearly all the portions were too large for a single meal and we aren’t very good with leftovers. I also find having a thriving garden cuts our meat consumption down a lot and this year with our expansion I’ll have room to grow beans for drying. I’ve been using this site for the past week and have yet to come across a meatless meal I didn’t love! My parents live with me, so on nights when Mom is home she usually makes the traditional, meat-heavy meals I grew up with. On nights she works late, I make dinner, and not a single member of my household has complained (or at times even noticed!) about the meat free and delicious meals I make. I just did a post myself on making ground meat stretch, great timing! Lentils, beans, rice, and filler such as oatmeal are a great way to stretch it! Here’s a link to a few of my tips, too! We don’t eat that much meat but what we do eat is either from our local grass fed farmer or hunted meat we swap for our homegrown eggs. Thank god for those eggs! Not only do we get all this venison and wild hog but we eat a lot of eggs to fill in the corners of our meatless meals. And we loooove beans. Today I’ll be doing some bulk cooking and I’ll be making Polenta, Spinach, and Feta Casserole, Broccoli Rice Casserole (probably with lentils in it), Roasted Sweet Potato, Broccoli, and Black Bean Salad, and White Bean Kale Soup (with bone broth). Also, I find vegetarian Indian food very satisfying so we eat a lot of vegetable curries our favorites being eggplant and okra. I get lots of inspiration from you blog. Thank you so much! I’d like to know how to do that too, I have a family of 5. We buy a grass fed, no hormones, no antibiotics, no corn etc from a local farmer every year. It has save us SO much money and I can tell the butcher how I want it cut. Its great being able to reach in my freezer any time and be able to have it right on hand. We are carnivores that eat a lot of meat and seafood and sourcing well-raised animals has been a challenge, either to locate or to afford. Fortunately we get our salmon relatively inexpensively. As Alaska residents we qualify for a subsistence fish harvest permit and for our family we are allowed 85 salmon, that’s 25 for the permit holder and 10 for each dependent, although we have never caught that many. We usually put 30-40 salmon in our freezer each year, plus we smoke some and can some. We also eat moose that is given to us by hunting friends each year. This past year I found some local, mostly grass fed (plus barley) beef and bought a side, which we finished off in about six months! I have also been buying some meats (chicken and chicken parts, including livers and feet, pork roasts and bacon… we do love bacon!) from U.S. Wellness Meats. We do eat meatless meals at least once a week but we are protein cravers (all type O blood!) and none of us digest beans well. So it’s usually rice pasta (we don’t digest unsoured or sprouted wheat well either) with marinara and fresh basil or grilled cheese sandwiches (on sourdough) and tomato soup or breakfast-for-dinner, like waffles, french toast or omelets. Good vegetables are very expensive here, especially locally produced at the farmer’s markets, but we just prioritize for them. It is just expensive to eat well in Alaska. I try nearly every year to grow vegetables but my failures are greater than mu successes! 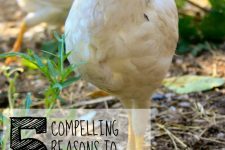 We do keep chickens (for eggs) but buying feed without soy or GMO corn is also expensive. I am hoping to raise some Freedom Rangers this year for meat because we love chicken and buying pastured chicken can be more than steak! Andrea I couldn’t agree more that everything is going UP! We are blessed to have a wonderful farmer nearby that raises organic/pastured beef/chicken/duck/turkey/pork. We keep our own laying flock. When the hens age out, they make splendid chicken and dumplings or pot pie! The single most effective way in our house to stretch meat is to make a soup or stew using meaty bones or whole chicken. Delicious, not labor intensive and plenty of leftovers for subsequent lunches. I want want to thank you for your tips. Everything is getting more and more expensive. We live in Southern California (we are leaving the state as soon as my oldest graduates high school-2 more yrs) and the price of food is unbelievable. I recently began trying to eat and live more naturally, frugally, and organically. Blogs like yours help me keep at it and not try to take the easy way and just buy junk. A great way to take advantage of bulk-buying prices without laying out the dollars for a side of beef is cow pooling. I’ve been running a cow pool in Gainesville FL for several years and we’ve pooled cows, pigs, deer, and water buffalo. The prices are fantastic, I know precisely where our meat comes from and how the animals lived, and I’m strengthening my local economy by giving the farmers a higher profit margin and only using small butchers. And it’s easy to start your own!